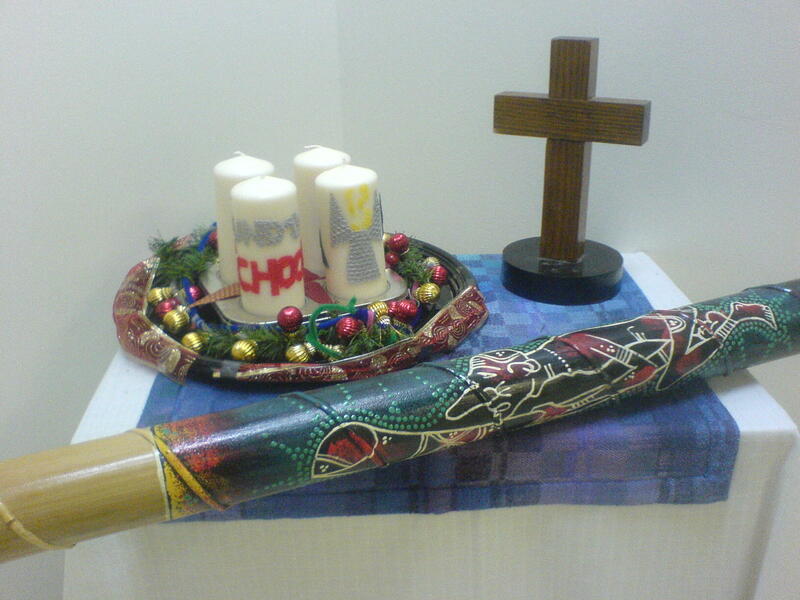 The Sunday School altar, dressed for Advent. We wanted to make Advent feel different, and special, in Sunday School. By way of preparation we took our work from previous lessons off the walls and removed the other decorative posters, leaving only the fair trade woven banner proclaiming ‘Paix dans le monde’. And then for our prayers, instead of taking it in turns to place a stone on the plate and saying a little prayer, this time we sat in silence as our rainstick was turned upside down behind each child in turn. During this magical watery sound we all listened deep in hearts for what God might be saying to us at this special Advent time.